When will be River Monsters: Best of the Beasts next episode air date? Is River Monsters: Best of the Beasts renewed or cancelled? Where to countdown River Monsters: Best of the Beasts air dates? Is River Monsters: Best of the Beasts worth watching? River Monsters: Best of the Beasts is the 11th spin-off series from Animal Planet's hit franchise series "River Monsters" hosted by Jeremy Wade. Jeremy Wade encounters the legendary Arapaima in the darkest depths of the Amazon. Legends tell of an evil spirit inhabiting an enormous fish, taller than a man, covered in scales and crushes its prey with a tongue made of bone. Looking back at Jeremy Wade's nightmare-inducing beasts and heart-stopping encounters. Jeremy Wade is on the trail of a mysterious, eight-foot, man-eating beast described over two hundred years ago by a famous explorer. 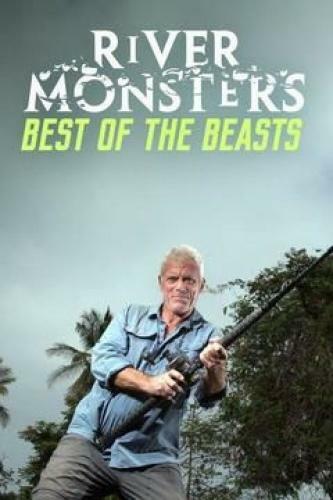 River Monsters: Best of the Beasts next episode air date provides TVMaze for you. EpisoDate.com is your TV show guide to Countdown River Monsters: Best of the Beasts Episode Air Dates and to stay in touch with River Monsters: Best of the Beasts next episode Air Date and your others favorite TV Shows. Add the shows you like to a "Watchlist" and let the site take it from there.